Learn some tips to get instant 1000 Twitter followers in a week? Twitter is a micro-blogging site which is mainly the game of 140 words. 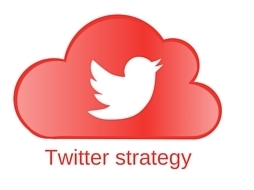 Twitter provides the best platform to promote your website and driving the quality traffic toward it. In other words, it is a smarter and popular way to boost your presence and widen your online reach, used by more than 500 million active users around the globe. Also, Read use Tinder without Facebook. Having a large number of followers on Twitter is the thing each blogger wants and work hard to get. This article is aimed to briefly introduce with some tips or tricks so that you can earn the first 1000 Twitter followers of your Twitter web page within a week. Also, we will discuss the Twitter tools that can help you to manage your twitter account and followers. It will be good that in your Twitter presentation contains your face, not the logo or something else. Don’t be generic as people follow the people, not the eggs. Also, make efforts for keeping your profile picture interesting yet professional. Before using a corresponding looking picture, first, figure out that what message you want to convey to your followers. To grab the attention of audiences, follow the other web pages of the same niche. You should type the keyword that presents your interest in a Twiend tool search bar and the tool will find out the similar people in the industry. Within a day or two, you will automatically understand that following who is to your advantage and what is not. You would definitely not like to spend your time on the non-profitable links and followings. Instead of you spend a good quality time with your followers, no one will know your name or understand the real value of you. Usually, people follow the web pages basically for two reasons either they find them educating or entertaining. Make sure about your kind, be interesting and let the people know about you. Furthermore, you should share interesting quotes, information, and related links. Avoid publishing your message again and again; retweet only the selected interesting and really helpful information. Never forget to respond the people liking, retweeting and following you. The most smartly written messages or information will lose its importance if there is no one to see them, so figure out the most suitable time to deliver your message. Generally, morning (before people start working), the midday (during their lunch break) or the free evening hours are the ideal timings for popping the smaller news. Picking the topics everyone is talking about is an intelligent move. Start with the hot topics and then smartly present your own point of view. Find the links and put yourself into the conversation with a large group so that you may get followings into the response. Though twitter allows you the freedom to express your opinion and views, you should understand the limits. Avoid the political and religious arguments on your web page and following sites. People don’t like it; usually, get irritated by these messages. If you are interesting, educating and present yourself in a professional manner, they will definitely follow and retweet you. Must Read Gain 1000 twitter followers in a month. While you are working hard on getting your first 1000 Twitter followers within a week, there are some more points you need to take care of your twitter followers strategy. While you are just self-promoting yourself, no one will like to follow you. It will be nice if you start by promoting the others’ web pages. Share the others’ stuff, tweet and retweet their links, send them messages, and stay in the touch with the powerful players of twitter. It is a good way to get the fast followings and in soon they will also help in promoting you. It is a good deal of mutual cooperation. Stay away from over the following. Though you can follow people as much as you want, it is not a good practice to follow. Generally, following 300 people is nice and right also. If you carry on your following with a harsh speed, Twitter will automatically stop you from following others. So, start easy, maintain your pace, follow others, tweet their stuff. Within a significantly short time, you will find the twitter following growing in your network. One more thing to be considered here gets rid of the people who are not following you back. This is the most important part of the instant following finding the strategy. There are some really useful tools that can really help you to track the results and maintaining the followings. To watch out that how many people are getting joined in your account, you can TwitterCounter. It will describe to you the details about your followings. On the other hand, if you want to get the timely information about someone unfollows you a tweet, you should use Qwitter that will quickly email you with any such information. So, these are some of the important twitter tools that can help you to manage your twitter account and grow your twitter followers. If you need to get instant 1000 twitter followers, start off thinking out. The better your ideas are at work, more followers you gain. Thank you for reading.